This weekend, I took some time to peruse the latest issue of Lonny and what did I find? This gem of a home which is actually a 200 year old barn lovingly outfitted with vintage finds and simple, modern touches. I find the eclectic mix in this home be exceptionally stunning. You must check out the full space here. Happy Monday and cheers to a new week! Stunning...but I don't somehow think my sewing and fabric hoard would fit in here..far too tidy, but it's nice to dream! This space is gorgeous! 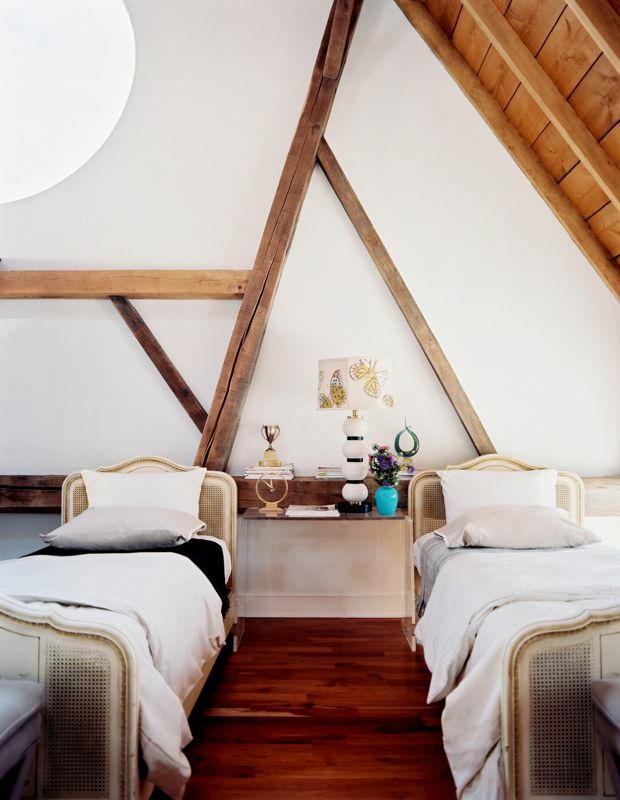 I love the rustic look and all of the wood beams! Lovely. And you could leave the front door open even if your mom yells at you about thinking you live in a barn. swoon, lonny is the best. i love how this space feels vintage and modern at the same time. xoxo jcd :: stop by cornflake dreams to enter a personalized print giveaway !! the new lonny mag is my favorite ever! how do they do it?? it would be fun to live here and have kids, if only to say that your kids were born in a barn.